Anonymous posts can be confusing and hard to follow with several users posting anonymously in the same thread. Please create a User Name/ID when adding to our comments section. 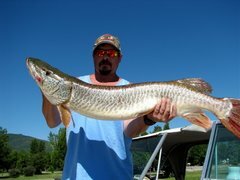 Thirty years ago I bought property in Ogden Valley and have lived on the South Fork for a couple of decades. I served as chair of our South Fork Township Planning Commission during the run up to the Olympics, and later as a “stakeholder” when the Recreation Element of our General Plan and the Snowbasin Master Plans were developed. These experiences taught me two things. First, growth and development in the Valley is inevitable; we have an attractive place and property rights exist that will triple or quadruple housing units and people in the fairly near future. Second, if we do this right, the Valley will remain an attractive place to live, visit, recreate and invest; everybody wins. But there are also lots of ways to mess this up—especially during a period of rapid development—and most everybody loses if we do. For the last decade I have led the monthly GEM Committee discussions (Growth Excellence Mandate), a come-one, come-all group of Valley people who attend countless government and private meetings as Valley growth issues emerge. To the GEM folk, growing with excellence means doing what we can to minimize the impact development has on residents while also doing what we can to remain an attractive place to live and visit. We pursue following our General Plan, a roadmap for enhancing what makes the Valley great while minimizing the negative consequences of growth—haphazard development, bankruptcies and overloading our infrastructure. More importantly, our General Plan clearly says we don’t want to lose what we have that makes our Valley a great place to live, recreate, and invest. I don’t think it news to most that our Plan intends to preserve our rural feel of agriculture, open space, dark skies, clean air, and majestic views. And our Plan also intends to retain our appeal to destination recreation visitors, knowing fully that congestion, pollution, and free-for-all development will kill the goose that is now laying our golden eggs. Two simple sentences in the General Plan describe our vision for how we intend to walk this tightrope: “Land uses in Ogden Valley should complement, not overwhelm or compete with, the rural character of the Valley…” and “The Ogden Valley community desires responsible and sustainable growth while conserving the natural and social character of Ogden Valley.” The rest of the Plan provides guidance on how to ensure our vision remains the reality. It seems like about every ten years a development scheme comes along that would overwhelm us. When previous owners of Powder Mountain proposed building a resort the size of Brigham City on top of the mountain, we fought for a better outcome. We succeeded because Valley residents got involved, learned the facts, and provided input at every opportunity. Back then I published a Manifesto, putting Powder Mountain developers on notice that we expect resort expansion plans to improve the Valley, not diminish it. Since then we have adopted a new General Plan that pretty much says the same thing. We also have improved ordinances and approval processes to support it. Even so, we need to rally and focus our community voice to get the best outcome we can when something like the Nordic Valley mega proposal comes along. This inspired me to develop an Ogden Valley Manifesto 2.0; thanks to everyone who helped in its development. 1 – …expanding lift capacity from 1,030 to 11,380 guests. This would be more than the guests currently hosted by Snowbasin, Powder Mountain and Nordic Valley combined, resulting in a doubling of current users; it would be a resort with roughly the same number of guests Park City/Canyons hosts today. 2 – …expanding parking on the Eden side from 404 vehicles to 3,845. This means an additional 7,700 vehicles a day in and out of the resort on our county roads; compare this to 8,500 vehicles now traversing Ogden Canyon on a weekend winter day. 3 – …expanding snowmaking from 11 million gallons on 31 acres to 223 million gallons on 450 acres. The idea is to pump water from Pineview and “consume” only 28% of what is pumped; the rest returns to Pineview as runoff. Still, consumption at 28% is 191 acre feet. 4 – …expanding from 5,093 to 166,500 square feet of non-housing buildings, expanding from 592 restaurant seating capacity to 12,000, and increasing electricity consumption from 1.5 megawatts to 15.5 megawatts. 6 – …converting our most accessible roadless National Forest, currently managed with watershed priority, into one of Utah’s largest resorts, and certainly Utah’s largest low altitude resort (the highest point being at the level of Snowbird/Alta parking lots). 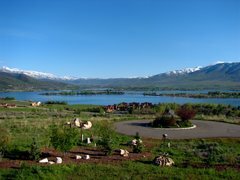 7 – …allowing a resort larger than Snowbasin without a plan for handling culinary water, water rights, wastewater, runoff water, landslide, snow slide, wildlife, watershed, traffic, or guest housing. Granted, much of this is outside of Forest Service scope, but all will be big deals to the Valley if the project goes forward. If successful, the proposed expansion of Nordic Valley would about double the number of winter guests we now have across all our resorts on our very busiest days; they estimate about half would come from the Eden side. This project is so massive it could easily overwhelm Ogden Valley, especially when added to thousands more already expected when Snowbasin and Powder Mountain reach their already-approved capacity. With this in mind, we issue this manifesto as guidance to its developers. Principle 1: Do no harm…the truth, the whole truth, and nothing but the truth. We expect any expansion of recreation resorts in Ogden Valley to proactively and effectively mitigate adverse impacts on Valley residents and environment. In order to understand and minimize impact, we expect full disclosure of expansion effects on Valley residents and natural assets; in particular, we expect a truthful and complete accounting of how expansion will impact water consumption, wastewater systems, runoff water and drainage, roads, and utilities, as well as landslide risk, snow slide risk, and risk to watersheds. We also expect honesty in how expansion will impact quality of life factors like noise, pollution, view sheds, animal habitat, housing, property values and taxes. 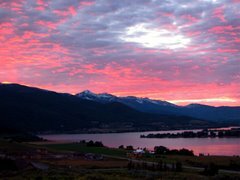 We expect any expansion of recreation resorts in Ogden Valley to adhere to the vision, goals and principles of the Ogden Valley General Plan. One of our Plan goals supports the expansion of resorts: “…to pursue Valley recreation expansion by working with resort developers.” However, our plan also clearly states what we expect from recreation expansion. Here are a few: “…to reduce the overall amount and impact of future land development in Ogden Valley,” “…to protect the Valley’s sense of openness and rural character,” “…to protect key viewsheds throughout the Valley,” and “…to balance the expansion of recreation areas and facilities with overused and saturated resources to maintain a high-quality recreation experience” (that is, there will be less golden eggs in a congested place). We expect any expansion of recreation resorts to adhere to Weber County planning rules and processes, and any expansion into our National Forest to adhere to Forest Service rules and processes. We expect a fair and thorough execution of the review and approval process without political intervention. We expect any public investment in expansion of recreation resorts (such as county-backed bonding or Community Development Agencies) to be minimal and to be highly visible to taxpayers, and with fully accounted costs to the public, including externalized costs or subsidies. Prior to final approval, we expect any expansion of recreation resorts to provide the public with evidence that it is fiscally sound and will result in a quality product that can compete in the national and international recreation markets for the long haul. These principles reflect our rights as residents and citizens and are backed by federal, state and county law, not to mention common sense. We have a right to follow our General Plan and to enjoy the fruits of the property rights it describes. We have a right to fight for these rights. Adopting these principles will earn support from Valley residents; ignoring them or strong-arming will create decades of Valley animosity and resistance at every turn. I, for one, prefer the former option. The Ogden Valley Forum was founded in 2006, at a pre-recession time when Ogden Valley was experiencing unprecedented growth. For the next decade or so, the Forum was an invaluable tool for residents to participate in advocacy and become informed about happenings in and around the Valley. We took a couple of years off, but now we are back. Many changes are occurring in and around our valley. Whether you are a long term and full time resident, or a more recent part time transplant, these many changes and issues will effect us all. Growth, traffic and Sewage and water issues are a huge concern and have been limited largely to the north side of the valley, but there are now several developments proposed on the South side. Large developments that are in various stages of planning and approval from the County. 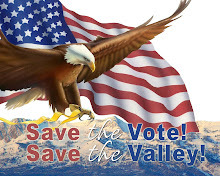 This venue is intended to serve as a non-partisan public community forum, providing citizens of Ogden Valley Utah a cyber focal point within which to discuss, debate and rant about any and all local governmental policies and issues in and around Huntsville, Eden and Liberty, Utah. Users are invited to visit, chat, argue, bicker, promote and co-ordinate political events, post, link and read articles, and whatever else -- so long as they observe a reasonable level of civility and decorum. For those folks new to blogging, consider this blog a cyber "letters-to-editor" venue, with a lot more of a free-wheeling attitude than you'll find in your hometown newspaper. If you want to put in your $.02, just post your own comments with the comments button. The comments interface is similar to the one you probably use for regular email. For those of you more familiar with the ways of the blogosphere, you already know the drill, so have at it and enjoy. Please join us Sat night Oct 1 at 8pm for our annual star party with the mighty telescopes of the Ogden Astronomical Society! The weather looks good with daytime temp of 70 degrees. 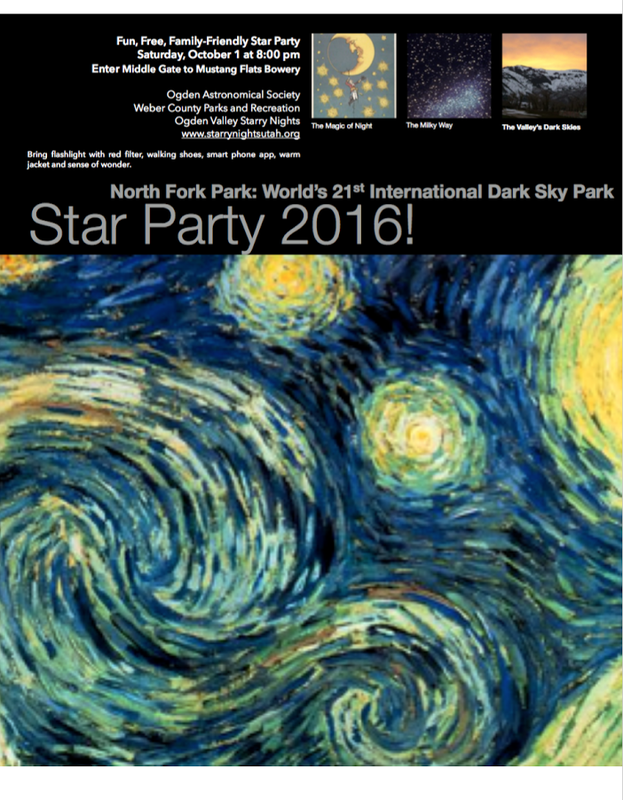 Enter Middle Gate of North Fork Park (the world's 21st International Dark Sky Park) and follow the signs to Mustang Flats Bowery. See poster below and attached. Thank you to Weber County, the Ogden Astronomical Society, and the volunteers of Ogden Valley Starry Nights for making this event possible! Also on Oct 1 at 10am is the dedication of the first dark sky barn mural of our Dark Sky Mural Trail - at the Fuller barn just opposite the elementary school. Thank you to artist Jake Songer and the Fuller family. Teens especially invited to explore the dark sky trail after formal dedication of new Dark Sky Trail..
HawkWatch volunteers will bring live birds. Saturday Oct 1 @ 10am (Fuller barn across highway from Valley Elementary School). Please join us as we dedicate Jake Songer's wonderful mural on the historic Enoch Fuller circa 1870 barn. North Fork Park is the world's 21st International Dark Sky Park; come and celebrate. Weber County Commissioners make a last minute change to Ogden Valley General Plan after all public input was closed. What a Travesty of the Democratic Process. Come to meetings! Participate! Make your thoughts and ideas known! Get your fellow Ogden Valley residents involved! 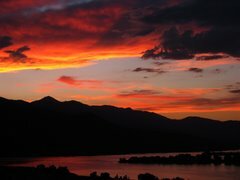 Over the past 40 years there have been dozens of occasions on which Weber County Commissioners themselves, Ogden Valley Planning Commission members, and members of the Weber County Planning Office have asked me and many others to PARTICIPATE -- to come to meetings, to work with them, to get others involved, and to make our thoughts known. We were also told repeatedly by our County Commissioners (notably in 1998 when the first Ogden Valley General Plan was created, again in 2002 when the Ogden Valley Recreation Plan was made, and again for the past three years as the new General Plan has been crafted) that we should communicate our ideas to them, that we should TRUST them, and that we should let them know the directions in which we wanted to channel the inevitable growth of the Ogden Valley. Well, for the past three years, Ogden Valley residents have done just that – they have PARTICIPATED! Many Ogden Valley residents spent hours in multiple meetings and workshops. As you are probably aware, the original “Advisory Group”of Ogden Valley residents worked with the Simpson Bowles consulting company to create the initial version of the plan. You can see those involved citizens listed in the final version of the plan. However, you may not be aware that, since the initial version, at least four revisions were then written. Kim Wheatley of Huntsville worked tirelessly for hundreds of hours on these multiple revisions. He worked closely with Charlie Ewert, Principal Planner for Weber County Planning Office and with the Ogden Valley Planning Commission. During the last 2 years, Kim also spear-headed and held together a group of interested Valley residents who met regularly and who studied the issues, tried to understand the ramifications of each part of the plan, and wrote and re-wrote the 60 page document many times. Given the parameters under which the General Plan had to be written, all these individuals labored long and hard to try to meet the needs of ALL of the many stakeholders involved in the development of the Ogden Valley. They deserve our sincere thanks and respect. They also deserve the support of our three county commissioners. However, instead, at the last Weber County Commissioners’ meeting on August 30, in a few minutes, an important part of that good work was summarily thrown out by two of our commissioners. In that meeting, after all public input was closed, in an arrogant and audacious manner, a motion to make a last minute change in an important part of the long-debated plan was made and passed. The motion was made by Commissioner Gibson, supported by State Rep Froerer, and voted in by lame-duck Commissioner Bell, while Commissioner Ebert voted against the last-minute change. That motion re-establishes bonuses for TDR’s. This loop-hole, which Commissioners Gibson and Bell inserted into the General Plan, will allow the potential for further increases in the total density of housing units in the valley—above and beyond the already astronomical numbers of 16,000 housing units and 21,000 residents! Giving bonuses for TDRs sets up the potential for developers to make end-runs around existing caps on Ogden Valley growth. This decision by two of our county commissioners establishes an important and long-reaching policy, and it was created in such a blatant and arrogant way that I believe it fuels the growing distrust and cynicism regarding our local government. So…Participate! Come to meetings! Make your ideas known. Involve your fellow Ogden Valley residents, and even work hard to actually help craft the plan! Then watch as a few politicians make decisions that blatantly contravene and are diametrically opposed to the will of the citizens. The residents of the Ogden Valley deserve and need better representation. Perhaps we will never get that representation until and unless we have five county commissioners, one from the Ogden Valley; or until the Ogden Valley breaks from the Weber County government and is incorporated as its own municipality. After extensive work and input from the Ogden Valley Planning Commission, involved citizens, the Planning Staff, Consultants Logan Simpson Design, and the County Commission, the hearing will be held Tuesday. Unfortunately, the three person County Commission, none of whom live in Ogden Valley, have changed and softened some of the important areas of the proposed plan. Most of the "wills" were changed to "shoulds"
The "no bonus density" was changed to a less committed idea that we made need them to make TDR work. The "no central sewer" was changed to language encouraging a central sewer and water system. This is an extremely important event and we urge your attendance and input. An FYI for those of you who aren’t aware, the following agenda item was passed at the Weber County Commission meeting last Tuesday. Request for approval to set the date of August 15, 2016 at 6:00 p.m. for a public hearing to consider a Weber County property tax increase of approximately 25% or $8,162,000 to fund employee compensation and capital projects. A 25% increase? Time to get out and make our voices heard. The meeting will take place in the Commission Chambers, 2380 Washington Blvd. Tell your friends and neighbors, please! Ragnar Weekend - The favorite weekend of many Valley-ites! The Ragnar relay race will be coming through Huntsville this Friday June 17. They will exit our town on 500 S and then continue on Hwy 39 to the old Snow Basin road. and into Huntsville. Traffic is usually a mess so be prepared !!!! to use 100 S. as your exit and entry. That's all for now!! Have a great weekend! This event is already in progress, but it is important ant there is still time to help out Saturday in Eden. The Ogden Ranger District of the Uinta-Wasatch-Cache National Forest, Weber Pathways, and the Ogden Valley invites the public to join us for the 9nd annual Ogden, Ogden Valley Weeds Days, and National Trails Day. The public is invited to participate in the community wide event in celebration of National Trails Day. The ongoing efforts offer fun, exercise, a chance to meet new people as well as give back to the local community! The goal of this project is to help reduce and eradicate invasive weeds threatening the native plant community of the local area. 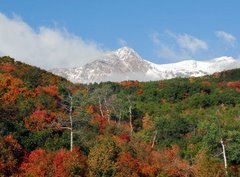 The project areas encompasses lands bounded by the Forest Service, Weber County on the Mt. Ogden front, and Ogden Valley area. Invasive weed species threaten the ecological integrity and biological diversity of plant communities within the project area and have caused adverse impacts to recreation, wildlife and other important social and resource values. Target weeds include, dyers woad, puncture vine, dalmation toadflax, myrtle spurge, leafy spurge, yellow starthistle, whitetop, burdock, and hounds tongue. Control methods will include hand pulling and possible bagging. Forest Service crews will be using herbicides on-site. Participants should wear protective clothing, including gloves and bring lots of drinking water. Some tools will be provided but it is recommended to bring your own shovels. Please join the Ogden Ranger District, Weber Pathways, and Ogden Valley as we work to protect our land by preventing the spread of noxious weeds in Weber County. For more information, contact Lisa Thompson, Volunteer and Partnership Coordinator, Ogden Ranger District, (801) 458-1704 or Rod Kramer, Outreach Coordinator, Weber Pathways (801) 393-2304. The Utah Department of Transportation (UDOT) is nearing completion of Phase II of the Ogden Canyon Transportation Use Study. Please join us at a Public Open House to review and provide input on the study. TIME: 5:00 - 7:00 p.m.
UDOT is conducting a Transportation Study in Ogden Canyon. The Transportation Commission asked UDOT to conduct the study and look at all modes of transportation in the canyon. The study analysis includes existing and future safety concerns, traffic volumes, resident needs, economic needs, multi-modal uses (biking, truck traffic, pedestrian, transit, etc. ), recreational uses, and environmental and geotechnical/geologic concerns. UDOT completed Phase I of the study in Spring 2015. The purpose of Phase I was to gather physical information and opinions and share that information in an interactive and transparent process to develop an understanding of the safety and mobility needs in the canyon. In Phase II, the study team met more extensively with people and groups who care about Ogden Canyon. Three focus groups were formed and divided into categories: roadway, environmental, and active transportation/transit. These groups were made up of people who live, work, travel, and recreate in Ogden Canyon, as well as local agency and special interest group representatives. They were able to evaluate concepts and give input. In addition to the focus groups, representatives of local government and other agencies also participated in evaluating the concepts and giving feedback. There is no drop-off recycling center in Eden area at this time. Apparently it is not economically feasible for a private company to provide such a service. Why doesn’t Weber County subsidize a Recycle Center similar to the one currently located in the school parking lot on the corner of Harrison & 30th St. in Ogden. This seems like a good idea to us at the Forum. Perhaps our County Commissioners and staff need to be contacted and encouraged to help out. Here is an email we received from the town of Huntsville on the subject. The Weber County Commissioners are holding a public hearing on the proposed ordinance to set curfew restrictions for Pineview Dam. The meeting is scheduled for Tuesday, April 19th, 2016 @ 10:00 am in the W.C. Commissioners Chambers located at 24th and Washington Blvd. The Proposed curfew is from 10:00 p.m. to 6:00 a.m. For those residents who live in close proximatey to the lake, this is a great opportunity for you to voice your opinions in support of this pending curfew. Show your support of this action by showing up to this meeting, even if you don't want to speak out, just being there will make a difference. Everyone is invited. "SPEAK UP FOR WHAT YOU WANT, OR TAKE WHAT YOU GET!" Kimball Wheatley "Manifesto" regarding "Powderville"
ssillito@co.weber.ut.us Include instructions to distribute your letter to all Ogden Valley Planning Commission members. Ogden Valley Forum 2012. Simple theme. Powered by Blogger.